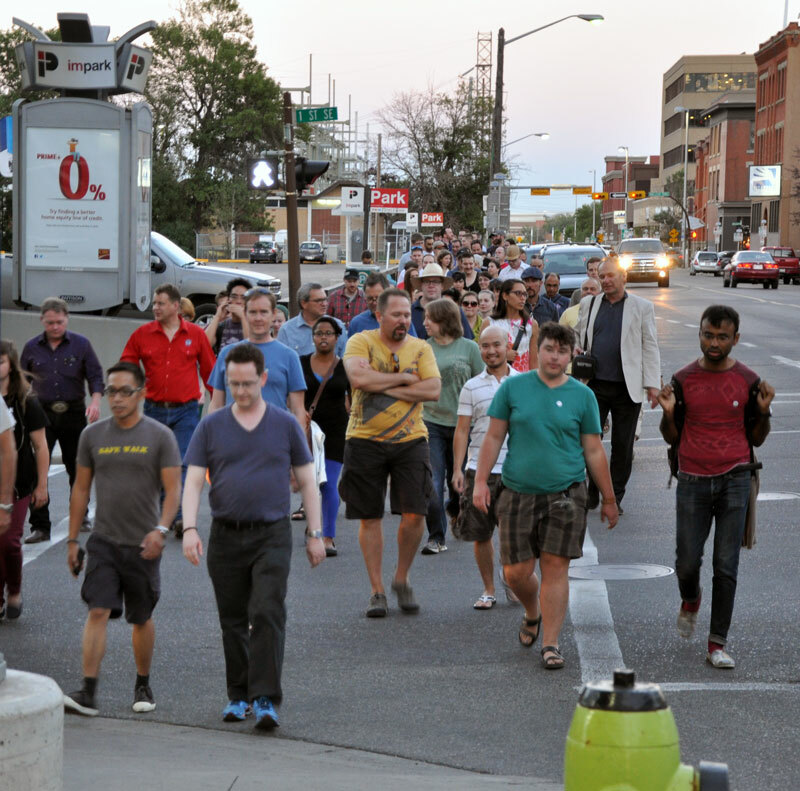 ← Downcast Gays in YYC? I just got back from Victoria and Vancouver and had excellent interviews with half a dozen former Calgarians, about our community’s history. Thank you everyone who participated and gave their time to the project. The Calgary Gay History Project met recently with Pride Calgary to talk about what history offerings will be happening for this year’s Pride Festival: August 28th – September 7th. We are considering a public panel discussion honouring Pride Calgary’s 25th anniversary in 2015. We are going to be offering the Gay History Walk again, however, with a re-jig. This year it is going to be a free ticketed event – and we will lead more than one – just to keep the participant numbers reasonable and make for a better history walk experience. Last year’s turnout was phenomenal but a little overwhelming. Stay tuned to our website, facebook and twitter, for future ticket announcements. Finally, we will have a table at the Pride Festival on September 6th for everyone to come up, ask questions and learn more about our community’s history. This entry was posted in Gay history and tagged bisexual, gay, Gay history, History Walk, lesbian, Pride Calgary, Pride Week, queer, transgender. Bookmark the permalink. I’ve been to two of the Gay History Walks and they have always been informative and fun. I can’t wait for the event to come back during Calgary Pride Week!